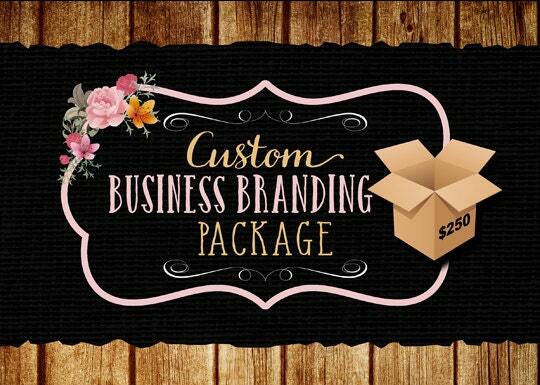 All you need to start or re-brand your business, a professional business branding to take your business to the next level! - Signature Logo design in your favorite colors. - PSD source file of the logo. - Matching round logo or a product label design. with a personal or product photo. - Matching etsy banner with a photo of the product. - 3 Matching social media banners. - Matching Business card design. - Matching Instagram profile image. - Matching watermark of the logo. * All designs will be provided in high resolution JPEG format. Not exactly what you are wanting? 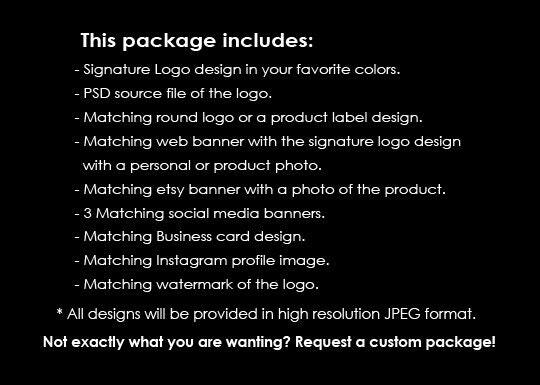 Request a custom package! ✔ Valid shipping and e-mail addresses. Feel free to ask any questions, i will be more than glad to answer promptly. I thought a design of this quality would cost me thousands. El was superb at customer service and attention to details. Very professional and I am beyond pleased. Thank you again!